My client for this party was having a joint birthday party for her five year old twins. The girl, of course, wanted Frozen. I shared several different ideas with her, and we were able to narrow down the final design. 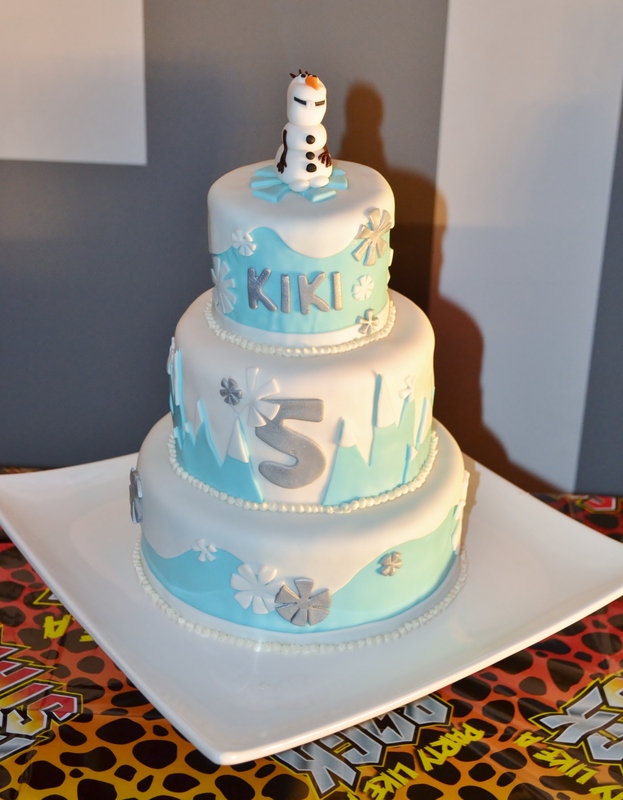 The cake that we decided on was more of a Frozen inspired cake, which makes for a more sophisticated cake. 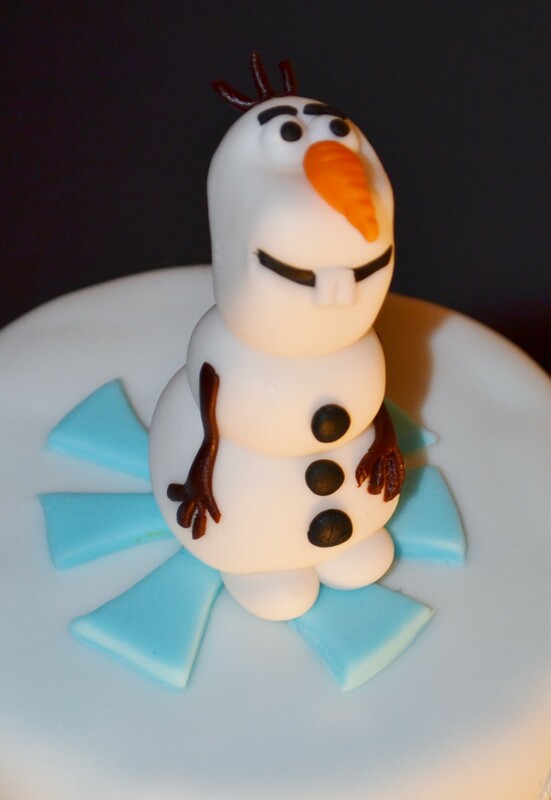 A fondant Olaf topped off the cake.